SPG Points are in High Demand! Due to a recent transfer promotion between Starwood Preferred Guest and a number of airlines, the value of SPG Points has risen. You can now redeem them for the highest value in a considerable amount of time. When it comes to traveling to Las Vegas, pricey hotels and costly expenses usually come to mind, but in this week’s version of ‘How The PEYD Team Travelled this Winter’, we will be covering how Yaakov, one of the founding members of PEYD, flew his entire family to Las Vegas by using his airline miles and credit card rewards points without spending any money out of pocket. Earlier in the year, JetBlue had offered a special promotion of 75,000 bonus points to any customer who fulfills the requirements of buying a JetBlue ticket, despite having significant points/miles with another airline (like Virgin America as an example). Through this promotion, JetBlue was hoping to win the business of customers who had mileage balances with other airlines so they would choose JetBlue as their next source for airfare, rather than the airline the customer was using previously. Yaakov transferred 41,000 Starwood Preferred Guest points to Virgin America points giving him the required 51,000 points needed to activate JetBlue’s special promotion. He immediately gained 75,000 JetBlue points and purchased a cheap airfare ticket with JetBlue ticket to display loyalty to the airline. With those 75,000 JetBlue points, Yaakov was able to procure airfare for himself, his wife as well as his 3 children to Las Vegas during a very busy season. Once he arrived at JFK, there were some delays at the airport and after a quick word with the flight reps- Yaakov was given an additional $175 voucher for his delays and difficulties. He decided to use the cash voucher towards the airline ticket “tax surcharges” and to purchase an additional seat for his 4th child – an infant under two years old! 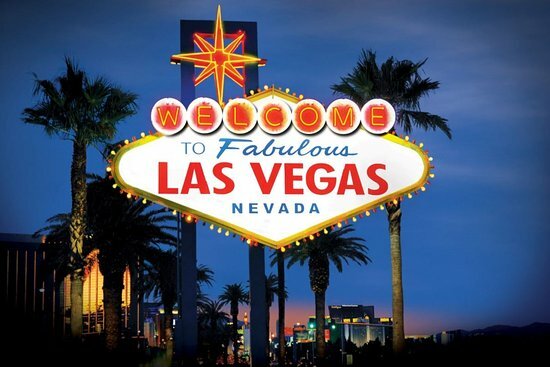 Once in Vegas, Yaakov used his platinum SIXT membership card to upgrade to a large SUV (Chevy Tahoe) for the entire week, paying the low price of $300! All in all with the value of the JetBlue points awarded due to his knowledge of their lucrative offer, he was able to cover the cost of the entire trip and more! 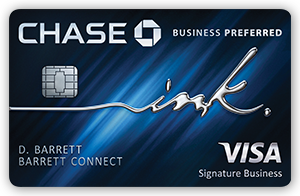 Beginning March 12, the signup bonus on the Chase INK Preferred card will be 100,000 points after spending $5,000 within three months. *Annual Fee waived the first year. The current offer for this card is 80,000 bonus points and this increased offer is for branch applications only. The online offer will remain the same. Beginning March 12, the signup bonus on the Chase INK Cash will be $500 after spending $3,000 within three months. The current offer for this card is $300 and this increased offer is for branch applications only. The online offer will remain the same.